How AI and machine learning can help protect your company against cyber attacks? YouTube influencer scam – This is how it happened! How to optimize social media hashtags? Are You Doing Enough to Protect Your Blog on Twitter? How to remove malware on Android from your phone or tablet? Marketing Business has changed a lot these days. Social media is playing a vital role in marketing nowadays. It’s not just an online media. It has given personal and also commercial opportunities to show and share one’s own creativity around the online media. LinkedIn is one such network where we can share lot of such ideas. You must know the working mechanism of a social media network when it comes to commercial purpose. Social media is a place where people form groups of their own interest and share their ideas with one another. LinkedIn is one such site which allows the user to create a profile of their own and then connect with people of the same interest by sharing ideas and blogging. These social media websites allows you to widen your business opportunities. Social media can be used as a vital tool for our commercial purpose. Professional people use LinkedIn as a tool to establish their business ideas. The main idea of LinkedIn is to connect a person with others who are related to the same field and business. Also it allows us to inject ideas of our own to other users of LinkedIn and extend our business opportunities. LinkedIn can make it BIG. LinkedIn revealed a few days ago that Hewlett-Packard (HP) reached a mark of having 1 Million users following their profile and HP is the first company to reach this one million mark. HP treated LinkedIn as a “crucial” tool to connect with their consumers. They used LinkedIn to build a perfect relationship with not only their consumers and also their workers, peers and partners. Though Sir Richard Branson reached 1-million mark long before, HP is the first commercial page to attain that goal. Natalie Malazenko of HP’s digital marketing team states that their LinkedIn page has 1-million followers and those million followers are connected to over forty three million users around the world. Thus, it allows them to link to a large amount of potential customers. Like other social media websites, LinkedIn also took a lot of time to evolve as a crucial media. Their turning point was in 2010 when they allowed the users to follow various companies, which made a big impact. Although twitter is using the same concept, LinkedIn is able to be a standalone website. LinkedIn enabled a new concept called “Follow Company” in 2012, which helps the employers of the companies to hire suitable candidates and it also allows the users to look out for suitable jobs. LinkedIn is absolutely an awesome tool which can be used to extend your business opportunities. It also plays a vital role in marketing field which allows the professionals to attain their goal. Moseley (Raam) is a India-based cybersecurity journalist with a passion for covering latest happenings in cyber security and tech world. In addition to being the co-founder of this website, Moseley is also into security gateway, consulting, reading and investigative journalism. Stay with this guys, you’re helpnig a lot of people. 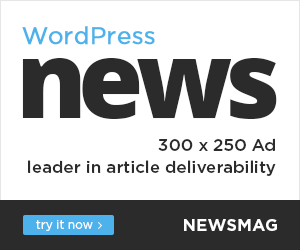 World Website Design (W2D) is a leading, trusted, widely-acknowledged dedicated web design, online marketing news platform, attracting over 5k monthly readers including websecurity, development, seo and hosting.